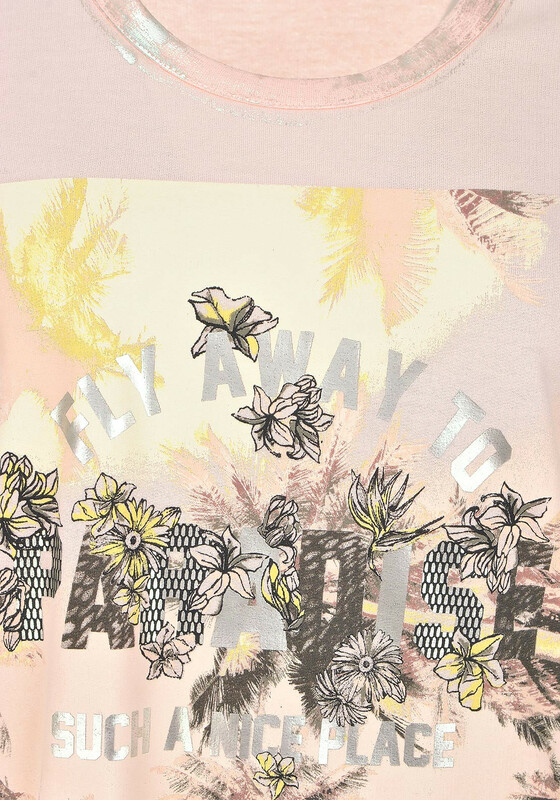 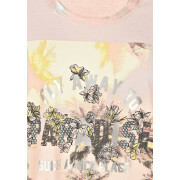 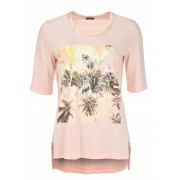 Add a tropical feel to your daytime wardrobe with this bright top from Gerry Weber. The half sleeve top has a palm tree graphic print on the front with gold metallic text graphic and metallic gold brush stroke print at the sides and neckline. 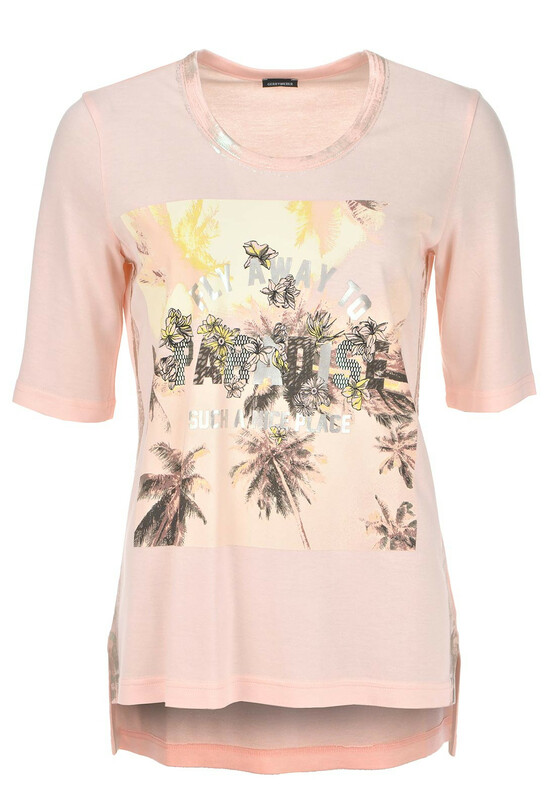 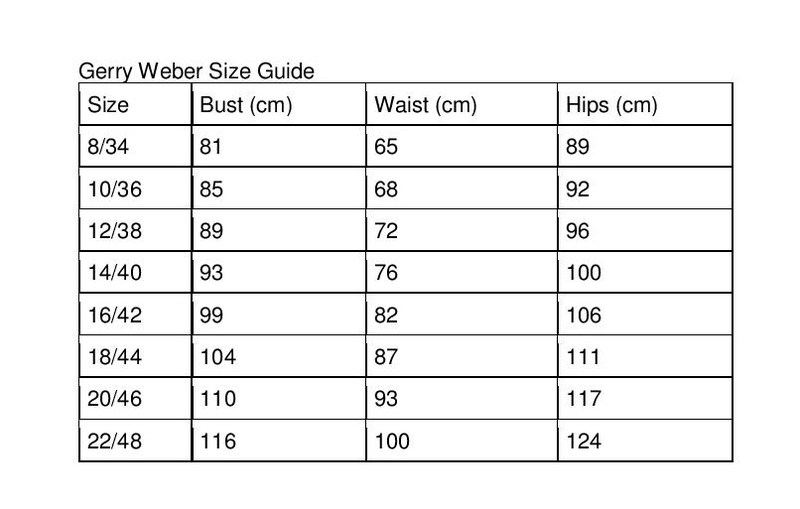 A great top to wear with your favourite jeans and pumps.